Provide comfort for the family of Mary Fregeau with a meaningful gesture of sympathy. 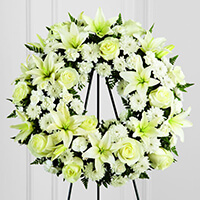 Mary (Nashlenas) Fregeau, 84, of Avon, beloved wife of John A. Fregeau for 60 years, passed away peacefully March 18, 2019 with her family by her side. She was born September 14, 1934 in Hartford, daughter of the late Anthony and Anna Nashlenas. She attended Hartford Schools and worked at Aetna and IBM where she met John. She spent many years in Avon raising her family and eventually retiring from the Town of Avon in 1997. Mary was a communicant at the Church of Saint Ann in Avon and after her retirement, a longtime volunteer at the Favarh Thrift Shop. Her passions were reading, gardening, knitting and watching UConn Women’s basketball, but her happiest moments were watching her family together enjoying each other’s company. Mary was predeceased by her sister Helen. In addition to her husband, she leaves behind 6 children and 15 grandchildren: Mark Fregeau and his wife Michele of Londonderry, NH and their three sons Mike, Chris and Peter; Jean Fregeau of Columbia, MD and her three children Nate, Maria and Luke; Lisa Babcock and her husband Terry of Bonita Springs, FL and South Yarmouth, MA and their two children Alexis and John; Jim Fregeau of Rye, NH and his 3 children Harrison, Ruby and Cameron; Peter Fregeau and his wife Jill of Portsmouth, NH and their three children Emily, Caroline and Piper; and Julie Fregeau of West Hartford, CT and her son Ben. In addition, she leaves behind her sister Alice SanGiacomo of West Hartford and her brother Thomas Nashlenas of British Columbia, Canada and many nieces and nephews. Friends and Family are invited to pay their respects on Monday March 25, 2019 at 9am at the Vincent Funeral Home, 120 Albany Turnpike, Canton, CT. There will be a Mass following at 10:30 AM at the Church of Saint Ann in Avon, CT. In lieu of flowers, donations may be made to the Church of Saint Ann, 289 Arch Road, Avon, CT 06001 or the Favarh (The Arc), 225 Commerce Street, Canton, CT 06019-2478. 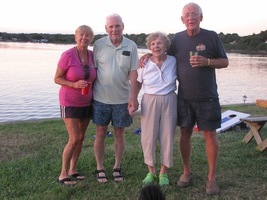 Please visit Mary’s “Book of Memories” at www.vincentfuneralhome.com for online condolences. 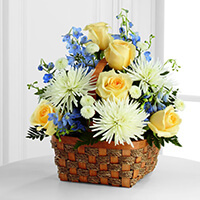 Your Encon Family, Betty and Real Hache, and others have sent flowers to the family of Mary Anna Fregeau (Nashlenas). Condolences John Fregeau, Lisa and Terry Babcock and all of Mary's family. So sorry to hear of the loss of Mary. It was a wonderful experience growing up next to such a special family... so sorry for your loss. Sending our deepest sympathies during your time of loss. Your Encon Family purchased the The FTD Treasured Tribute Wreath for the family of Mary Fregeau. Betty and Real Hache purchased the The FTD Heavenly Scented Basket for the family of Mary Fregeau.